Jaipur, 25 March 2019: The recently launched range of Godrej EON Allure Fully Automatic Washing Machine has been awarded the prestigious India Design Mark, a renowned design standard which recognizes good design and was initiated in cooperation with Good Design Award, Japan to recognize well designed products that enrich lives of people who use them. Godrej Eon Allure range is a perfect blend of intelligent operation and aesthetics. The new range of fully automatic top load machines incorporates a unique Rollercoaster wash technology along with several other features, under the Allure series. This technology thoughtfully combines the power of three distinct wash techniques in a rollercoaster like rapid movement merited to the well-crafted design of the Aquajet Pulsator, the Gravity Drum Contour design and the Cascading Waterfall Effect, which together ensure high impact stain removal. 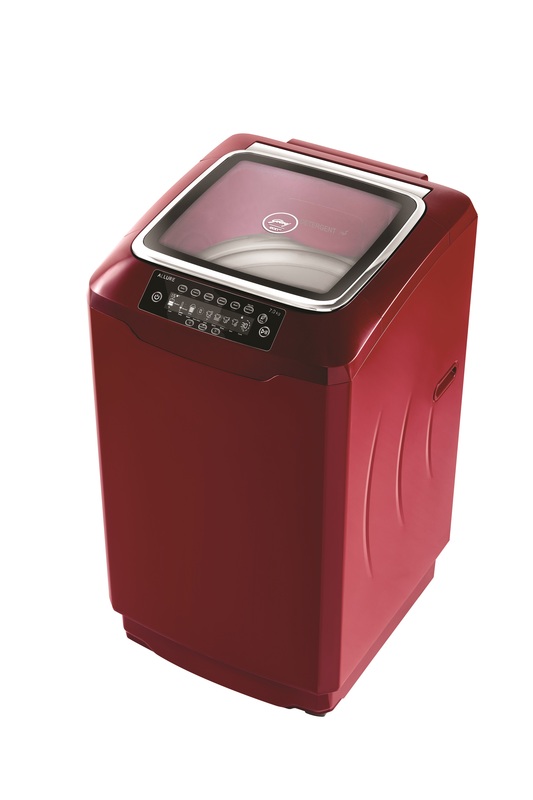 The washing machine has an in-built water heater in select models, which helps increase the hygiene quotient of every wash by considerably reducing the germs and bacteria from the clothes. The Flexi – Wash technology has been designed to give its customers the freedom to create a wash combination that best suits their needs, giving them the power to customize their wash programs. The machine boosts one of the biggest control panel which makes it easy for customers to operate. What’s more, the panel is 100 % water resistant. The large transparent lid for easy viewing makes it stand out. In line with Godrej Appliances’ commitment to environment, this washing machine comes with Eco Mode which reduces water consumption by approximately 44 Liters as compared to a normal wash cycle. The Godrej Eon Allure also comes loaded with other advanced features like delayed start, cloth load indicator, memory back up and a soft shut wash lid so that the customers can experience the joy of a superior wash, every time. Godrej Appliances has previously received the India Design Mark Award for its Eon Frost Free refrigerators, Green Balance Air conditioner range, Eon Glitz series washing machine range and Edge Digi refrigerator range.